Last December my family came to Crete to spend some time with us. I should at this point introduce my family, they are not normal … despite that fact that I live on a Greek island which the gods of sunshine have blessed with 300 days of sun a year, they are not content to sit around and take in the rays … Oh no not them. We must be doing something from dawn to dusk, it doesn’t matter what, it could be running, cycling, swimming, walking gorges, anything but it must happen and it must keep them out of trouble! I am lucky in the sense that I have been fortunate enough to meet a lot of people here and for one reason or another my husband and I have been taken into many families which is lovely and gives us a different insight into life on the Island. December is harvest time for Olives, almost every Greek in Greece has a few olive trees. Some people, like everything in life, have a few more than others. In Greece olive oil is green gold. The farmers work all year to ensure that their trees are happy and producing a good crop, Mother Nature has a huge hand to play here but she seems to shine down on the Island’s trees and they lap up her rays. Olive oil is an interesting and complex product. 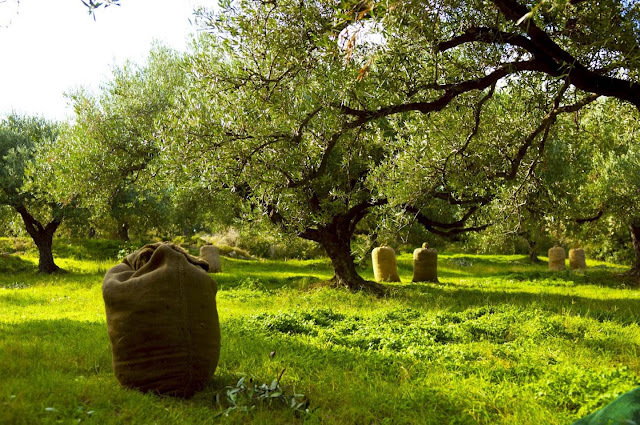 There are many different varieties of olives in the areas surrounding Sitia the Koroneki variety is predominant. 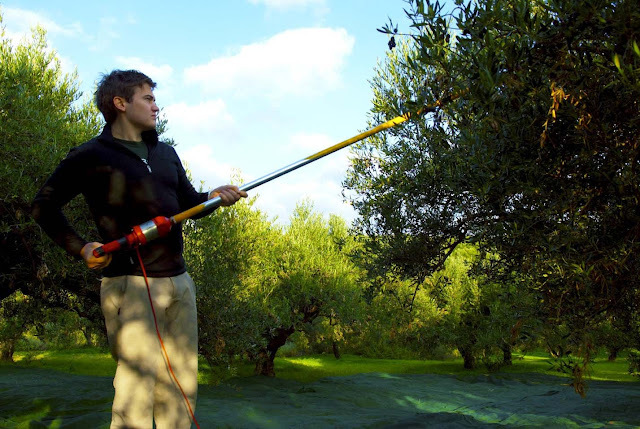 The olive is a lot smaller than the typical olive but it produces the best oil. As you will have no doubt seen in the supermarket there are many different qualities of olive oil ranging from extra virgin cold pressed (the best) to plain olive oil. To cut a very long story short the quality of olive oil is worked out through its percentage of acidity. The lower the acidity the better the oil. 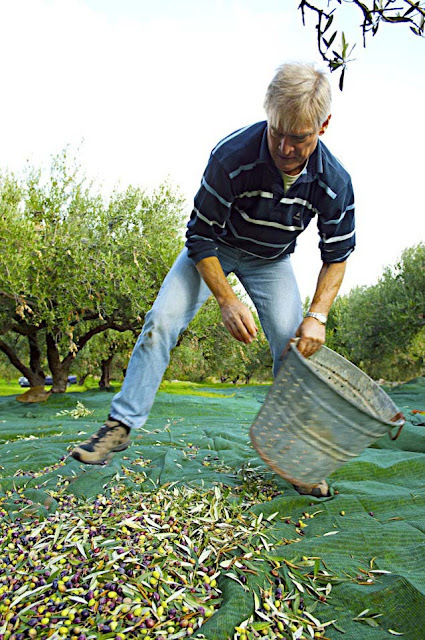 For example 0.2% to 0.8% acidity is considered extra virgin olive oil – this is the olive oil that you use in salads, never, let a Greek catch you using it to cook with, you will be hung drawn and quartered! 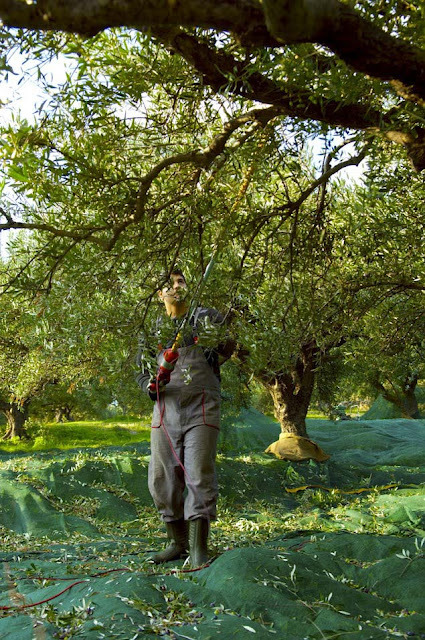 Then comes virgin olive oil this is 0.9% to 1.5% acidity and plain olive oil is 1.6% to 3%. After that it becomes thick and gooey and is generally used for frying chips or in more modern times as bio fuel for cars. Olive Oil with an acidity of 0.3% to 0.4% is considered the very best of the best and is highly sought after. Sitia and the surrounding area are extremely famous for their extra virgin olive oil, so much so that other countries buy the oil directly from the farmers and mix it with their own to bring the acidity of their oil down thereby giving them the right to use the Extra Virgin Olive Oil classification. It is then marketed to the masses and ends up in supermarkets all over the world. My family decided that they wanted to know more about the production of olive oil, they are always up for learning a bit more about the area which they are in. Thankfully it was harvest time and anyone who has olive trees will tell you that when it comes to the back breaking labour intensive harvest, the more hands that they can muster the merrier. 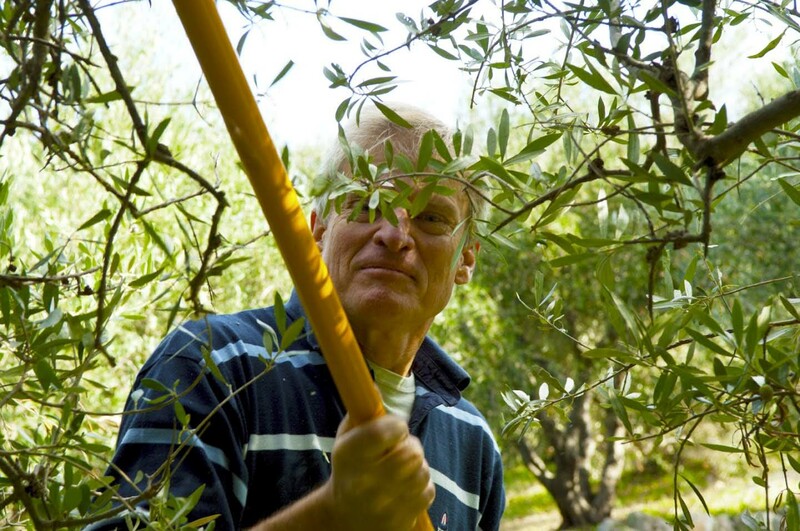 Laughing at the fact that he thought my family – myself included but not my husband who knew better – were up for a challenge Manolis, a friend of ours, offered us the day out picking his olives. 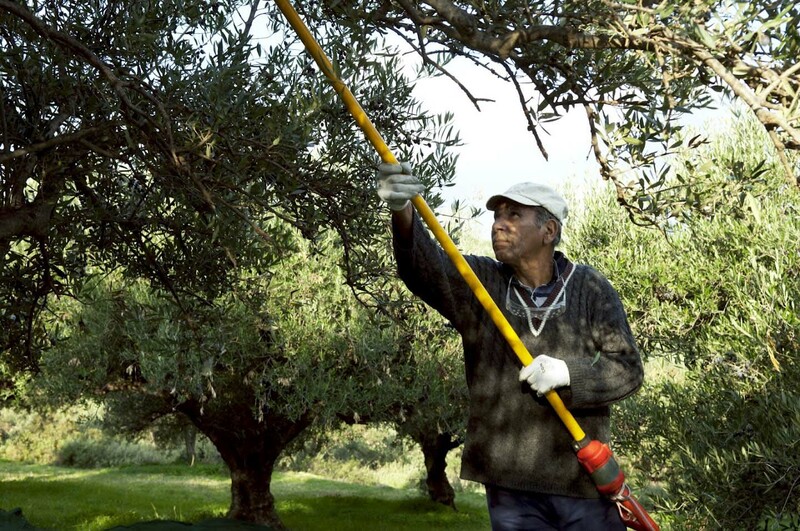 I think he thought that the sun had gone to our heads and that we were quite crazy to volunteer for the harvest, he normally pays his teams to bring in the olives. That should have been warning enough! 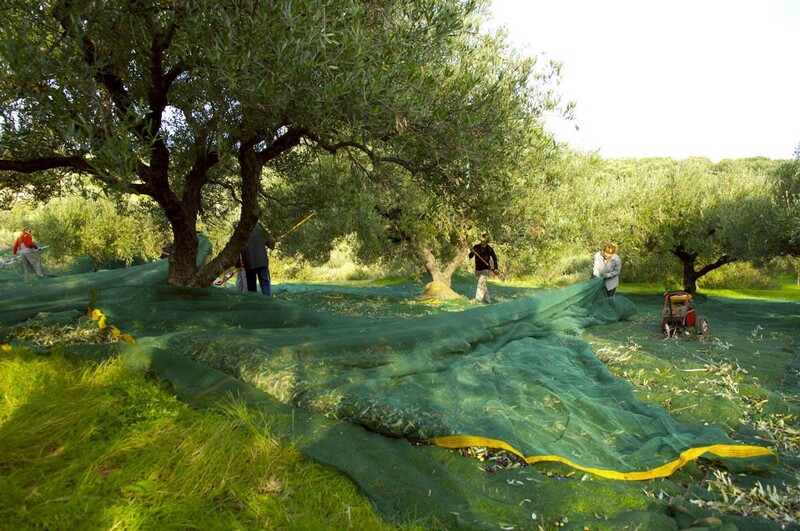 Harvesting the olives is a relatively simple task, nets are rolled out under the trees to catch the olives as they fall. 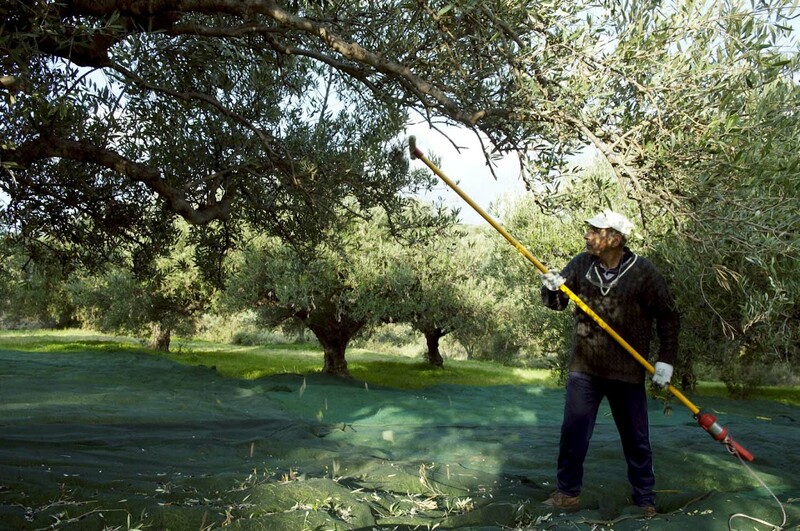 The trees are then shaken or beaten with paddles to knock the olives off. These days modern technology has caught up with the process and most farmers have long poles with a turning head covered in long soft plastic wires, the tool resembles more an instrument of torture than anything else. It is, however, extremely effective at the job for which it was designed. This machine is plugged into a very noisy generator, the power spins the heads which in turn knock the olives from their perch and along with the olives comes half a ton of leaves… But its not quite that simple, when you have all these machines working from different angles on the same tree you have olives flying in just about every direction imaginable - up, down, left and right and if you’re unfortunate the occasional olive has been known to whack you in the face with such intensity you feel like you have been rather viciously hit with a paint ball gun. 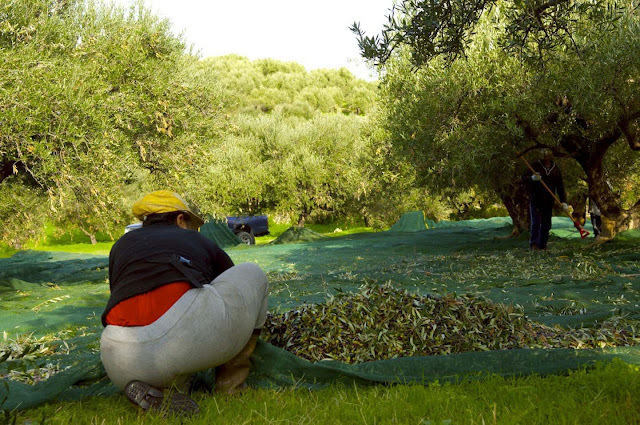 The main olive gathering team is split into two, one team knocks them off and the other separates the leaves from the olives and bags the olives up to be processed. 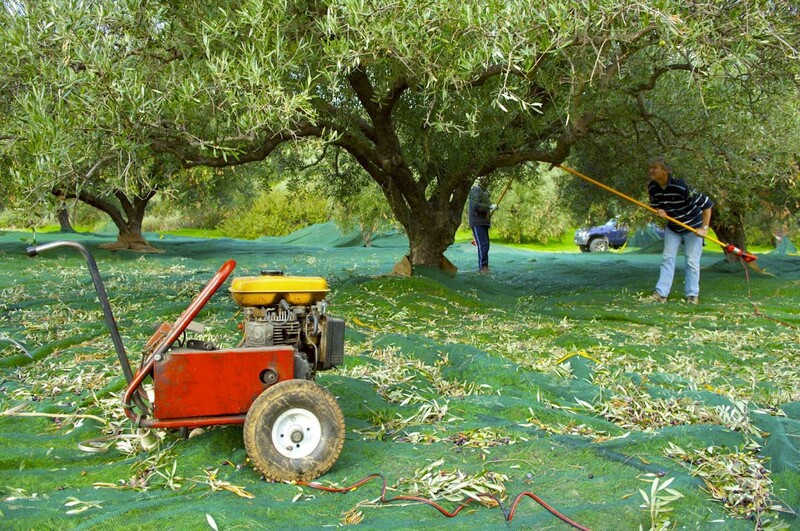 Both teams work as hard and fast as humanly possible, the more they harvest the more they are paid. This meant that the family and I were not exactly helpful in the beginning! First we had to learn who did what. My brother being a young ox of a man was whisked off to batter the olives from the tree, the folks and I were put on gathering duty. Two Albanian ladies who were extremely professional and rather quick looked us up and down and gave us about two minutes of their time, we then set about the job - the three of us doing the work of one of them! 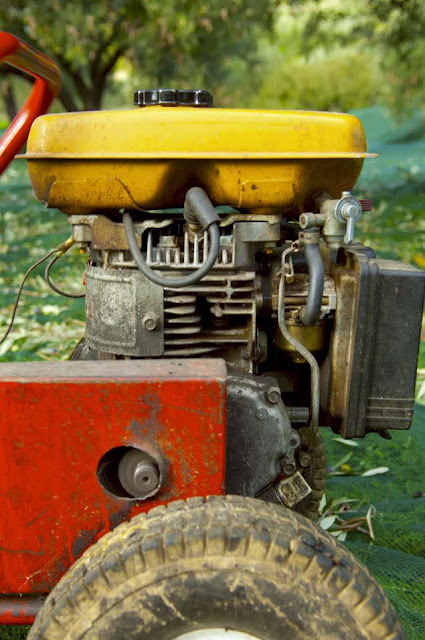 It’s not that it’s hard work but it’s labour intensive, you spend the best part of the day doubled over and if, like us you’re not used to it, your back very quickly starts to complain. 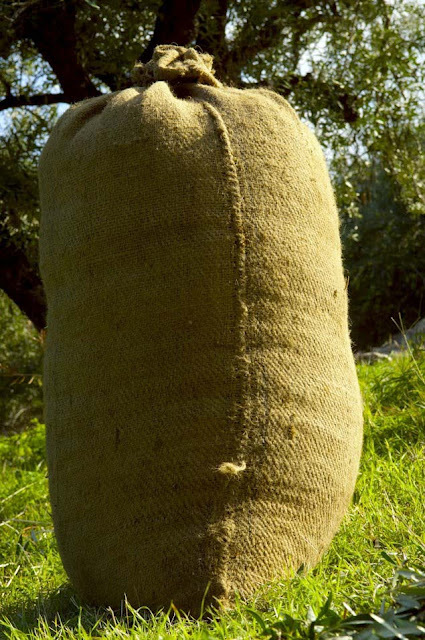 The olives might be small but when they’re all in one sack they weigh an absolute ton and the machines which knock them off the trees might well be light when you pick them up but when you’re holding these things for a while they start to get quite heavy. As the day went on we started to get the job done quite quickly and very soon we were almost as good as everyone else, almost as good but not quite up to their lightning standards. By the end of our time out in the fields the team had gathered well over a hundred bags. 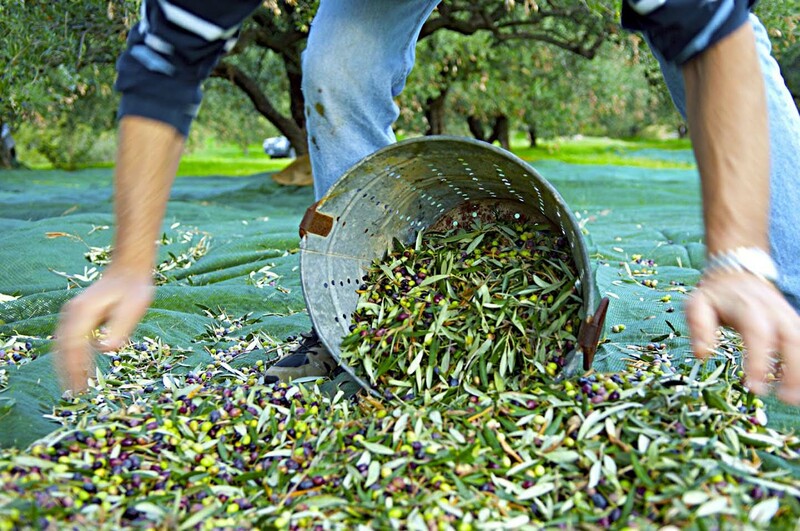 These were hauled up onto a truck to be taken to the processing factory where five kilos of raw product would become one kilo of olive oil.